Many Central American migrants slated for deportation are choosing to leave their own children behind in U.S. government shelters, says an official at the Department of Homeland Security. 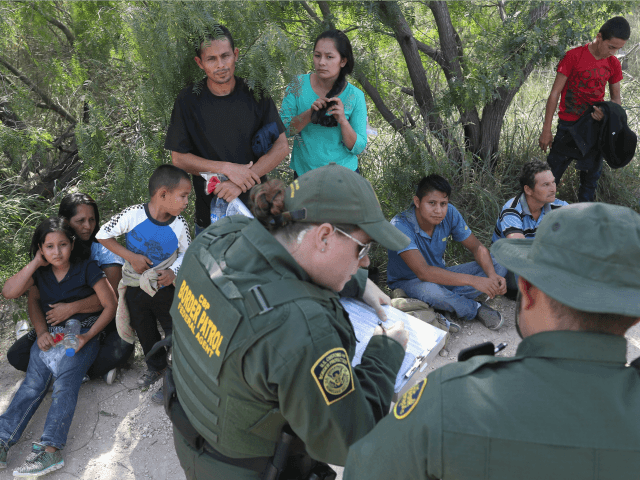 “We’re seeing many of these [migrant] parents who have been removed decline to take their child,” said Matthew Albence, the Executive Associate Director of Enforcement and Removal Operations division at U.S. Immigration and Customs Enforcement. I will say that for the vast majority of the individuals [who leave their children]… it is because they completed the smuggling act. Their goal when they paid their smuggler, the criminal organizations, these cartels, $5,000 or $6,000 to smuggle themselves into the country, their goal was to get their child here. They’ve accomplished that goal. So if they return on their own [to their home country], they are willing to do so and leave the child here because that was the intended goal of their illegal entry in the first place. That is the choice of their parents! The whole point of bringing the kids was to get the kids into the United States to live with friends or [extended] family. That was always the intended result. The [parents often will] reunify by coming in illegally on a later date. The parents are willing participants in the criminal act of smuggling, willingly putting their children in this dangerous situation, and willingly separating themselves from their kids, and willingly remaining seperated. DHS officials also cannot force parents who are released from detention in the United States to pick up their claimed children from the shelters operated by the Department of Health and Human Services, said Albence. “If individuals choose not to do that, there is nothing we can do to force them to claim their child,” he said during a telephone interview arranged by DHS. Foreign children and youths who are left in the United States by their parents are allowed to file for green cards on the grounds that their parents abandoned them. The migrant children are also eligible for various welfare and aid programs, and are allowed to attend taxpayer-funded schools and universities. Once adopted by the United States, then legalized and naturalized, the new Americans will be allowed to bring in their foreign parents and siblings via unreformed chain-migration laws. Roughly 10,000 Central American youths who arrived without parents are being sheltered by HHS. The parents’ decision to separate themselves from their children — even when the parents are still in the United States — debunks the false narrative by the left which claims that the parents and children are being victimized by cruel “family separation” immigration policies, Vaughan said. The parents should be viewed as co-conspirators in this deliberate abuse of our generosity and our [asylum] system. They are not doing this because they fear persecution or some specific threat to their own safety, but they can do it because they know they can get away with establishing a [legal] foothold for the family through their child. Their children are deportation shields and anchor children for themselves. As long as we keep up the catch-and-release policies, they will continue to do. This is not a victimless phenomenon. The communities that have had to accommodate the huge number of people who have been allowed to settle here have seen enormous problems as a result … It is difficult for the schools to absorb the kids, difficult for social welfare agencies … and [difficult to handle] crime problems. Also, the asylum-seeking inflow has added at least 400,000 workers into the labor market, so making it more difficult for young Americans to get decent pay for manual-labor jobs. If it were me, and somebody told me that if I arrived and crossed with my kids, that at least the children will be allowed to stay in the United States, I would probably do it too if I had the money. We provide them with an alternative to their own countries – who would not take it? Immigration reform bills supported by President Trump would close up the legal loopholes created by the left and used by migrants. But a loose coalition of business-first Republicans and progressive Democrats are blocking the asylum reforms and ensuring the continued inflow of migrants, consumers, and cheap workers into U.S. towns and neighborhoods. On July 10, Judge Dolly Gee punched a hole in Trump’s zero-tolerance policies, directing him to comply with the 1997 Flores decision and by releasing migrants with children after 20 days. Well, I have a solution: Tell people not to come to our country illegally. That’s the solution. Don’t come to our country illegally. Come like other people do; come legally … I’m saying this, very simply: We have laws. We have borders. Don’t come to our country illegally. It’s not a good thing. And as far as ICE is concerned, the people that are fighting ICE, it’s a disgrace. These people go into harm’s way. There is nobody under greater danger than the people from ICE. What they do to MS-13 and everything else So we ought to support ICE, not do what the Democrats are doing. Democrats want open borders, and they don’t mind crime. We want no crime, and we want borders where borders mean something. And remember this: Without borders, you do not have a country.